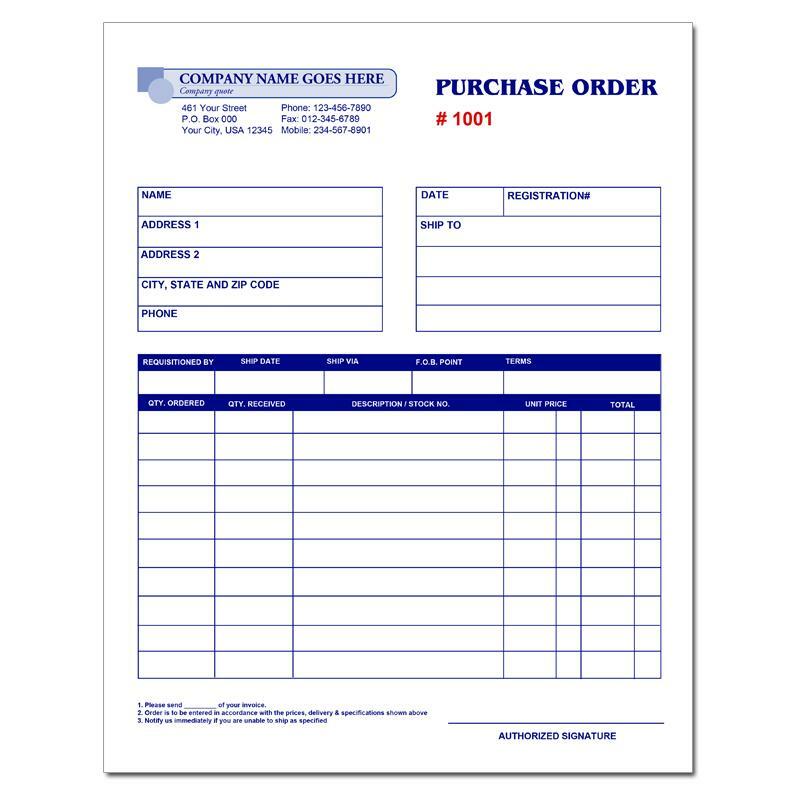 A purchase order form is used by a purchaser to indicate that there is final confirmation in placing an order for goods and services. 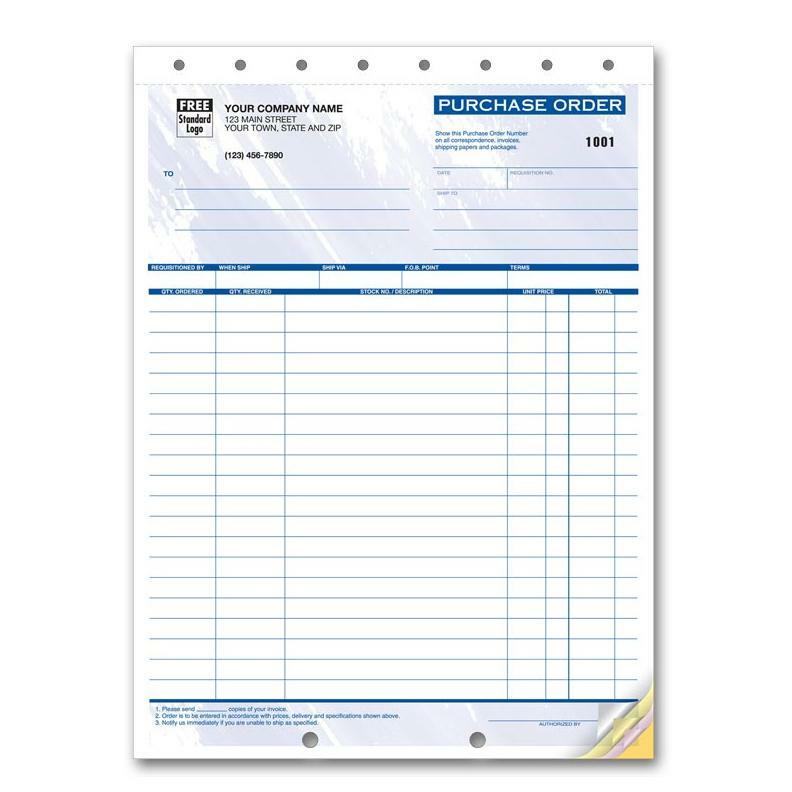 The document is sent to the seller with the details and authorization of the purchase. These may include stock items, services, materials, things to be necessary etc. The vendor will use the paperwork, which is sometimes referred to as the (PO), to accumulate all the things ordered and is nor in a position to bill the purchaser. This is necessary to communicate a common understanding between the buyer and seller. 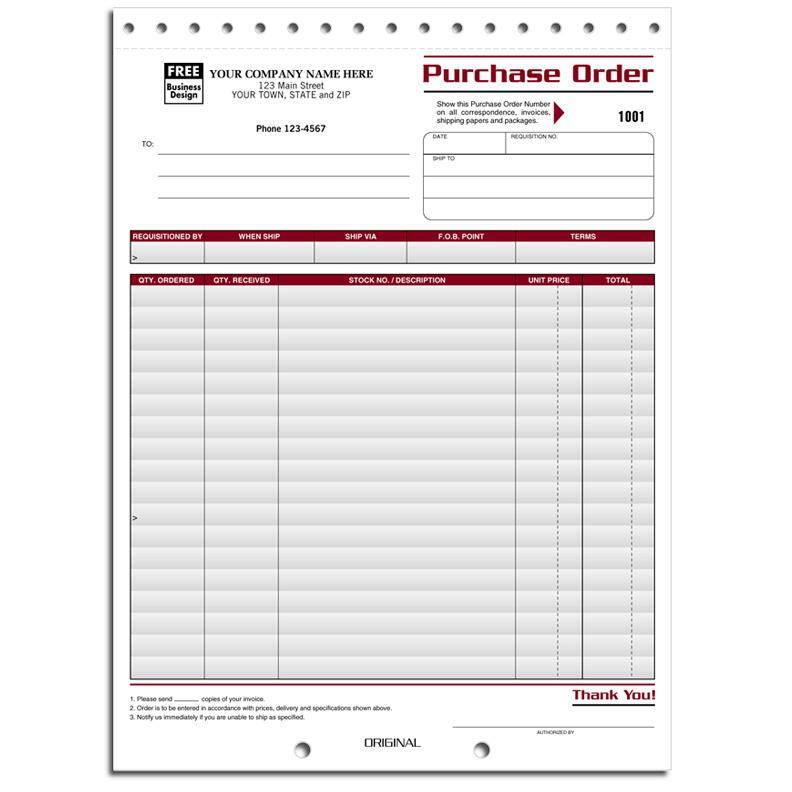 All the prices are included, description of items, quantities, materials, and totals. 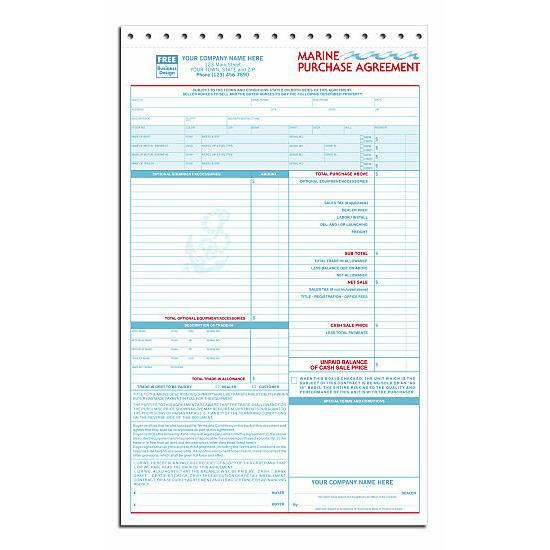 The purchase order form that we are referring to here is mostly manual paper forms that have to be written onto manually. 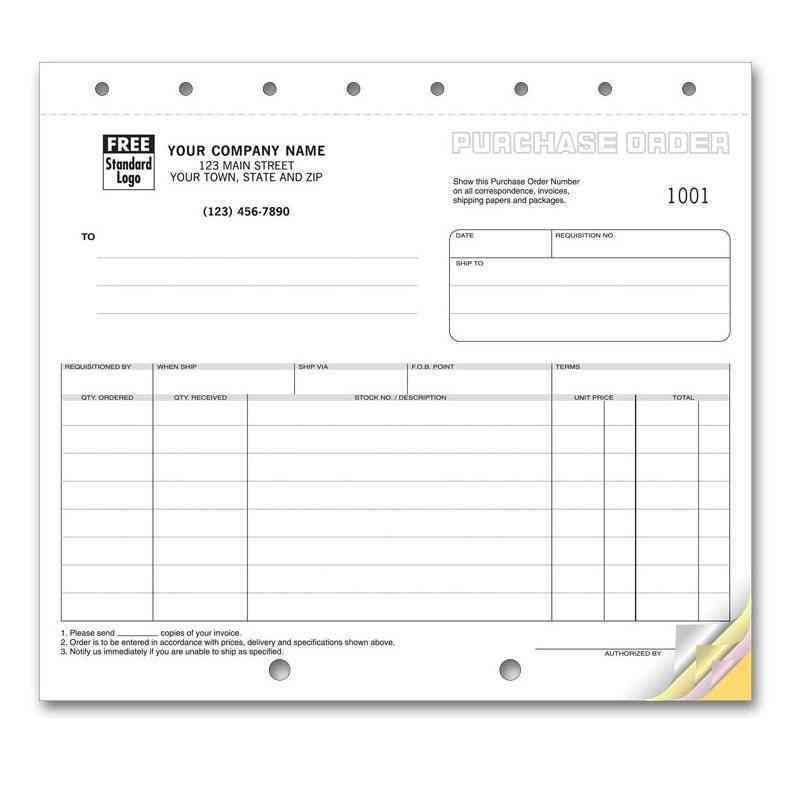 They are made from carbonless paper that produces multiple copies from an original copy. You can have Duplicate (2 parts), Triplicate (3 parts), Quadruplicate (4 parts), or Quintuplicate (5 parts). 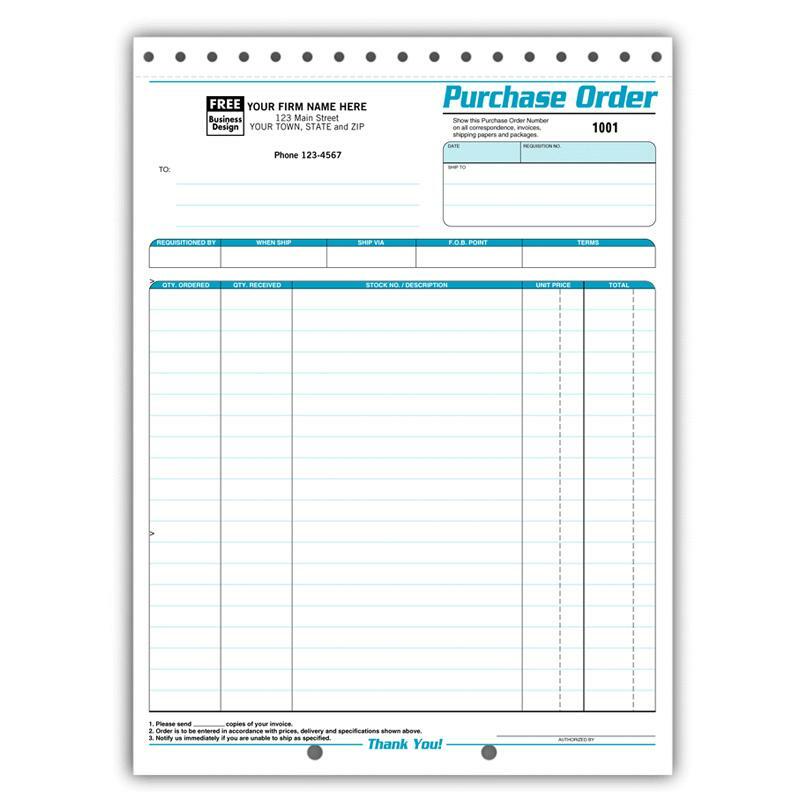 They can be in a book, continuous, or individual sheet format. 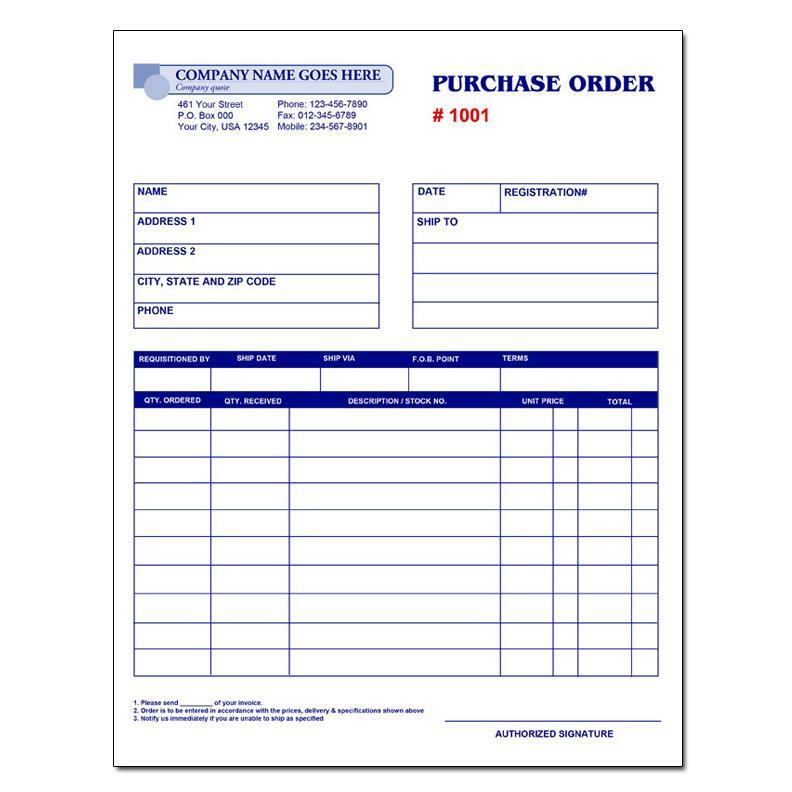 Quantity ordered quantity received, stock number and description. 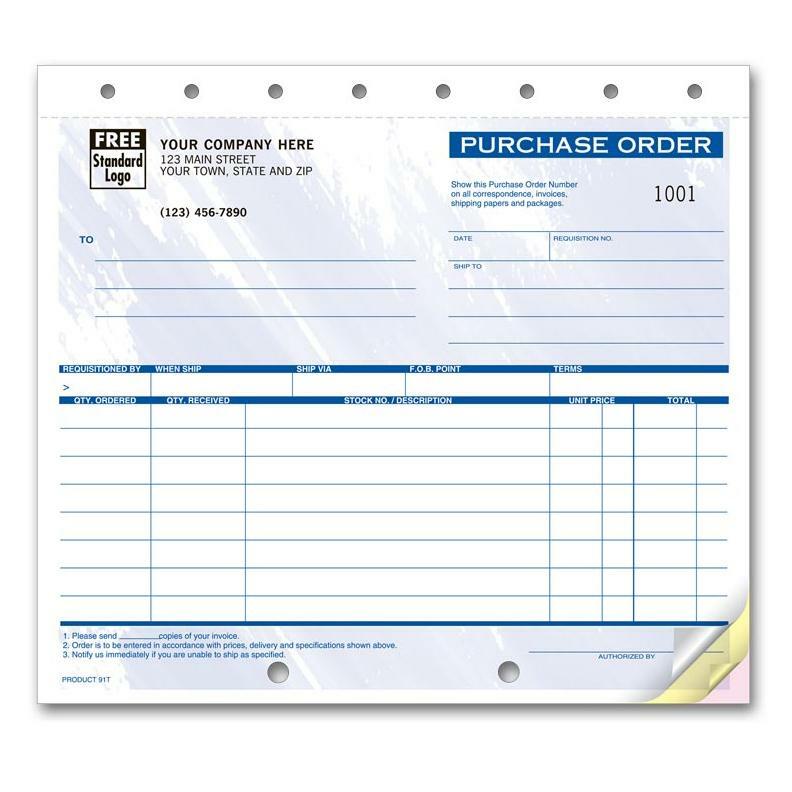 Customizing your purchase order will save you time while filling it out and it also helps to promote your brand. It shows professionalism and consistency. The last thing you want to do is send you order to the wrong seller. This could cost you time and money. It is therefore important to know the seller's name, address, phone number, and the specific goods or services that they offer. 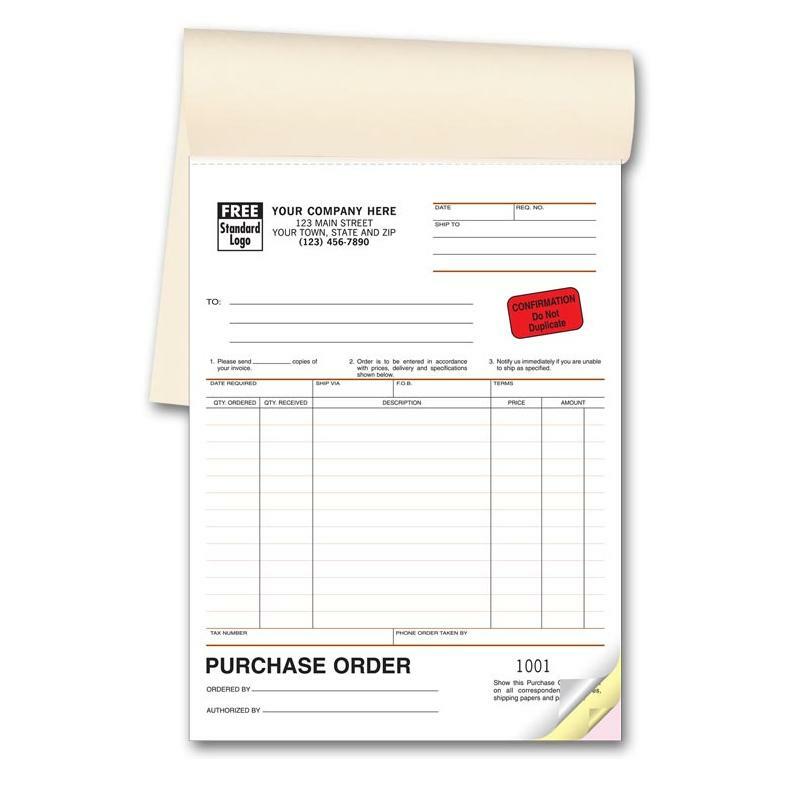 Communicate clearly with the seller by inputting all the information relevant to the purchase. 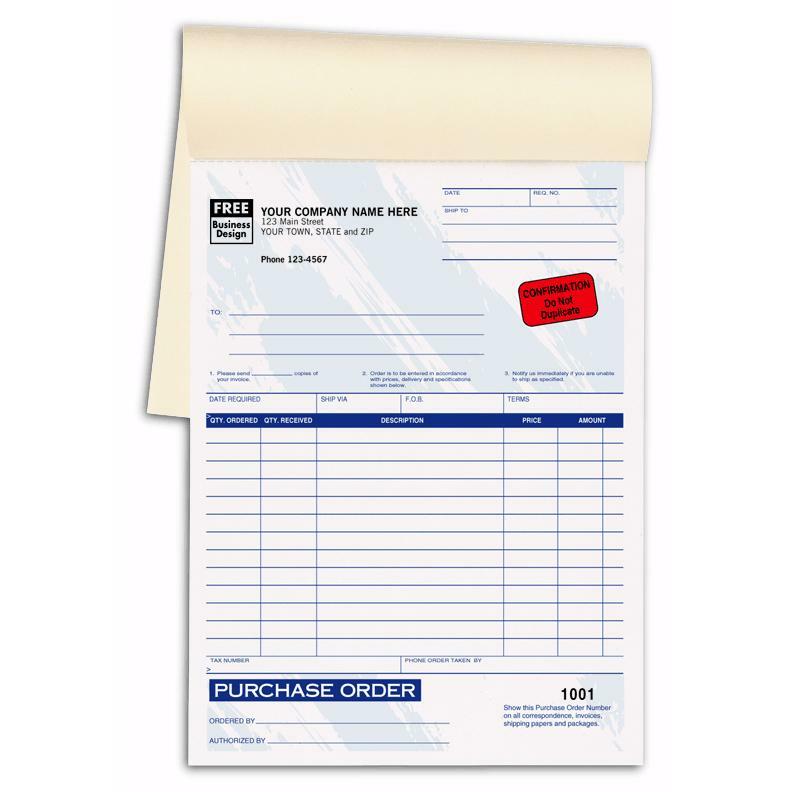 These are things like the item name, item code, quantity, price etc. 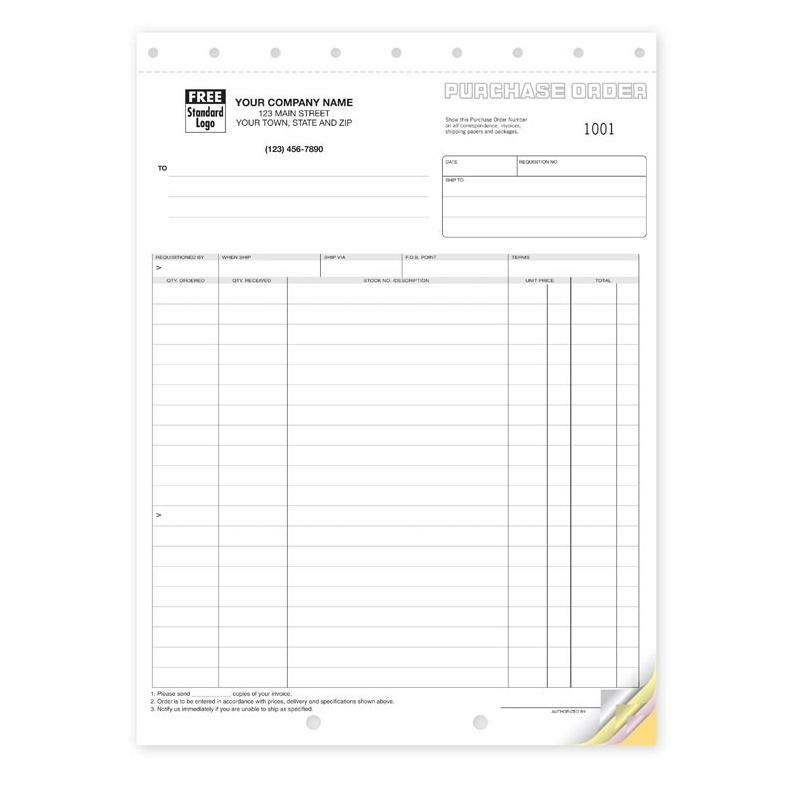 Now that the form is complete, it's time to send it the seller requesting your materials or whatever you intend to purchase. 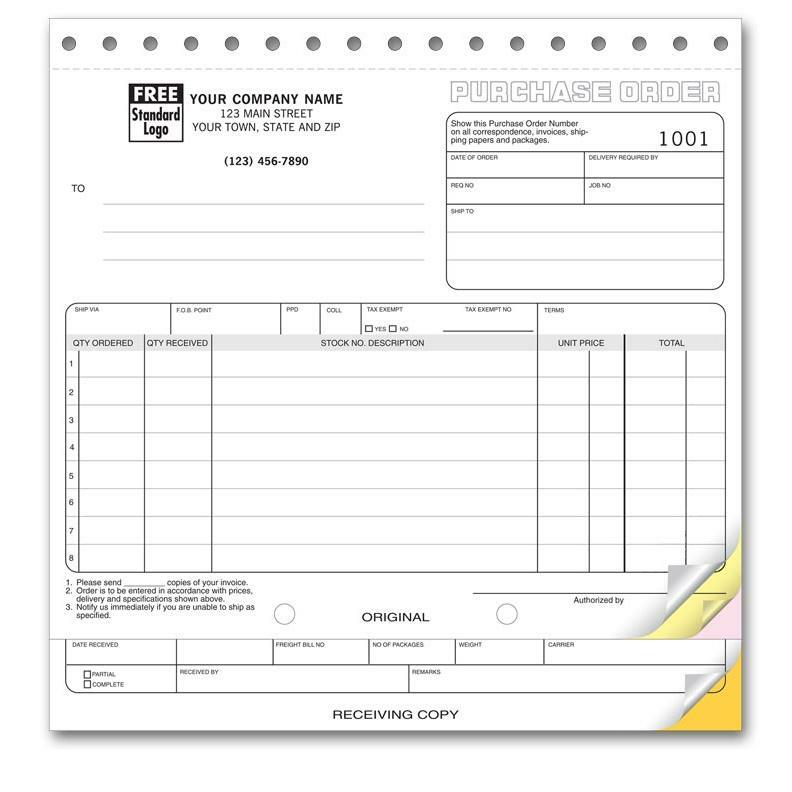 This can be done by mail or hand delivered by you or your employee. 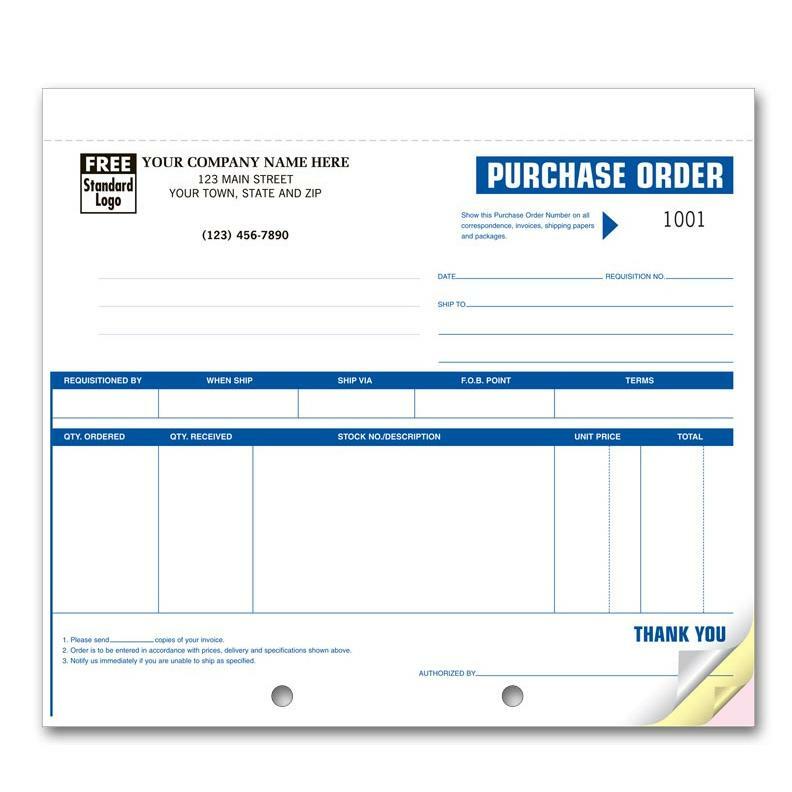 You can keep a copy of the purchase order form for yourself as a means of record keeping or double check items when they are delivered.